Often when someone feels wronged by their partner they demand “payment” for the pain they feel unjustly inflicted upon them. History proves they will argue until this well-established pattern completes itself. Unable to resolve who’s to blame for the pain, one or the other will either storm off to brood over the mistreatment, or decide that “retreat” is the better part of valor and make some kind of peace offering, perhaps an apology. In the long run, neither of these “solutions” makes any real difference. Their suffering passes into the night, but not the unseen reasons for it. Now, maybe this technique has some benefit if you’re at a party and a political discussion turns nasty. But what happens with our partner when, because of something they’ve done, or refuse to do – there’s a conflict between us – where we want them to agree that the problem at hand is their fault, but that’s not how they see it? The fallback pattern of “agreeing to disagree” does nothing to change the one-sided parts of us whose false perceptions and demands set us against each other in the first place. And when similar events recur, it’s not our “agreement” that we revisit; rather, it is we who are visited by the “wind and fury” of opposing forces whose continuing collision ensures that our original confrontation goes on…and on. 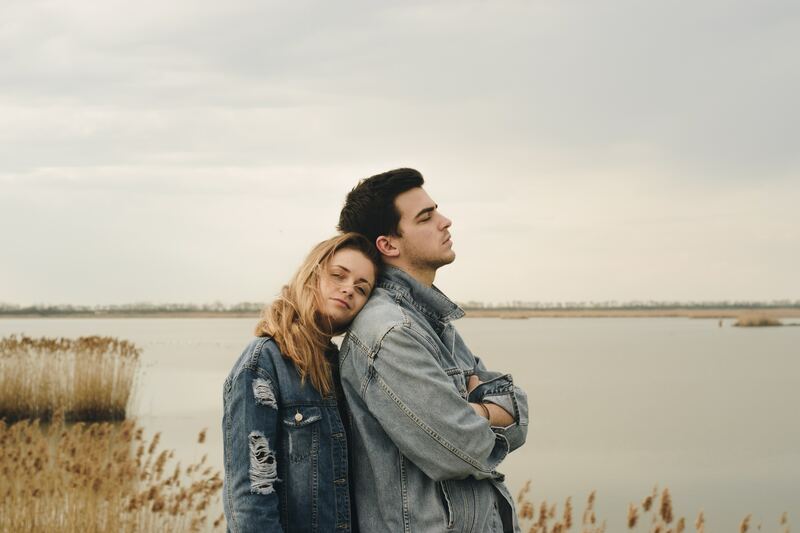 Here’s why this “act as if you don’t care” routine seems to work, at first: parading an icy heart not only goes to show that you can’t be hurt, but has the added “benefit” of making your partner feel the very chill you’re giving off. Sounds strong, in theory; but, to paraphrase a timeless truth: A stone hidden beneath the earth weighs as much as one on the surface. Too soon, when this weight gets too great to bear – which it always does – everything that had been buried comes rushing to the surface. Pent-up resentment is released that’s so far out of proportion to the deed blamed for it as to shake the very core of even the sturdiest of our relationships. This pattern of using guilt or shame to “re-shape” our partner is doomed at the outset. Even if we manage to momentarily make them into the “perfect partner,” the ensuing contentment of having our expectations met is unsustainable; not just because our partner is unable to maintain the makeover we’ve imagined will end our differences, but because there’s no satisfying the parts of us that almost always find something that needs to be “fixed” in those we love. This pattern of using guilt or shame to try to change our partner will never come to an end until we see that it’s not just our partner who’s weaving it! To be sure, those we love are as much at “fault” for whatever makes us “crazy,” as we are driven “mad” by their actions. But, the real reason behind any escalating conflict between us is…we don’t know what to do with our own pain. Trying to escape its pressure is what pushes us to try to “remake” our partner or – at the very least – to make them “pay” for our suffering that we’re sure they’re making us feel.